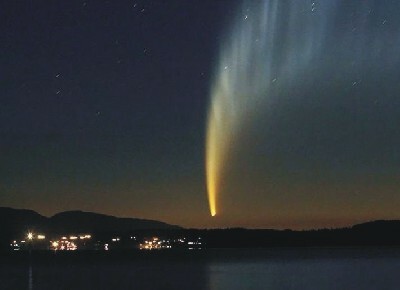 Comet of the century Comet McNaught flares in early-morning skies over the Chilean city of Pucon, 500 miles south of Santiago, on Jan. 19. The comet was visible to the naked eye in the Northern Hemisphere during early January, but turned into a spectacular sight for the Southern Hemisphere later in the month. Rings of light Saturn's backlit rings shine in this image, taken by the Cassini spacecraft as the planet came between the sun and the spacecraft. 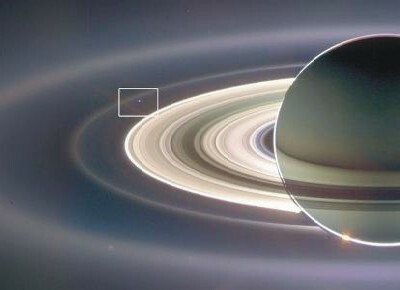 The shite box highlights our own planet, which appears as a pale blue dot within the rings. Light up the night The space shuttle Discovery streaks across the sky over Daytona Beach, Fla., after its Dec. 9 liftoff from Kennedy Space Center, on a mission to the international space station. 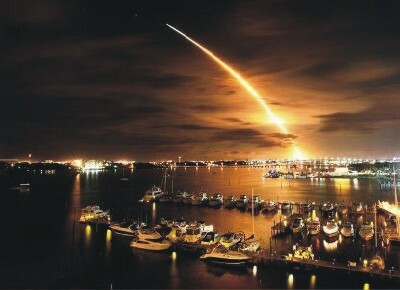 The event was NASA's first nighttime space shuttle launch in four years. 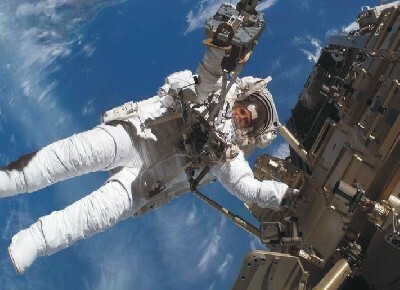 Getting to work Discovery astronaut Christer Fuglesang, a mission specialist from the European Space Agency, works outside the international space station. Fuglesang and fellow astronaut Robert Curbeam reconfigured the space station's power system during the second of four spacewalks for Discovery's mission. 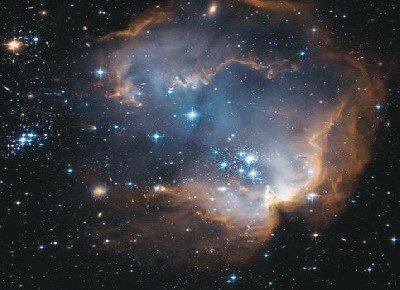 Stardust A photo from the Hubble Space Telescope shows newly formed, bright blue stars that are blowing a cavity in the center of a star-forming region known as N90. Because N90 is located far from the central body of the Small Magellanic Cloud, numerous background galaxies in this picture can be seen, delivering a grand backdrop for the stellar newcomers. The dust in the region gives these distant galaxies a reddish-brown tint. Martian vista NASA's Opportunity captured this vista of Victoria Crater from the viewpoint of Cape Verde, one of the outcrops that are part of the rim of the Martian ccrater. 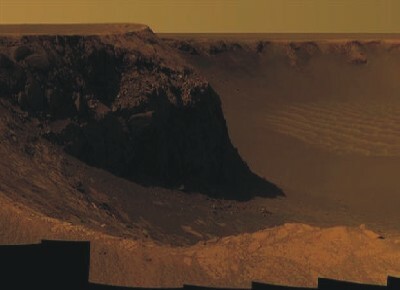 Opportunity drove onto Cape Verde shortly after arriving at the rim of Victoria in September 2006. The view combines hundreds of exposures taken by the rover's panoramic camera. Jupiter from a distance The New Horizons probe's Long Range Reconnaissance Imager was 35.3 million miles (57 million kilometers) from Jupiter when it took this picture. 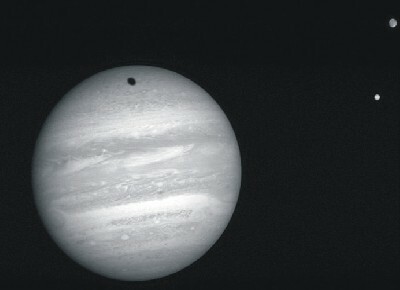 At right ate the moons Io (bottom) and Ganymede. Ganymede's shadow can be seen on Jupiter's disk. New Horizons is on its way to a rendezvous with Pluto in 2015. Laser light A laser beam flashes from the Gemini North telescope on Mauna Kea in Hawaii. 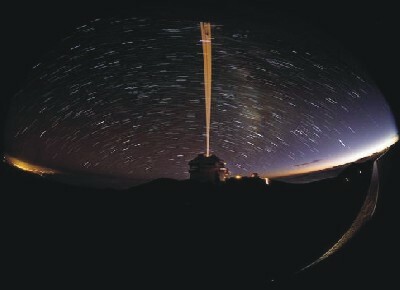 The "guide star" helps calibrate the telescope for observations. The remains of evening twilight can be seen to the right, and the lightd of Hilo to the left. ASP.NET Show panels can contain html, js, css, flash movies, server controls and other pages. Panels' transition mode is automatic. Check the two available modes: Show, Manual. Disable the manual changer using the ManualChanger property. Play/pause button is available when the manual changer is used with automatic show. Customize the show's manual changer. Check these tutorials: Customization, Live Styles. Customize the panels' transition type. Check these examples: Fading, Quick Scroll, etc.